Charles Fredrick Andrews, known to everyone as Fred, enlisted in the army in 1943 at the tender age of 17. He followed his brother Tommy who was already stationed in the middle east and his father Henry John Andrews who had fought in the first world war. 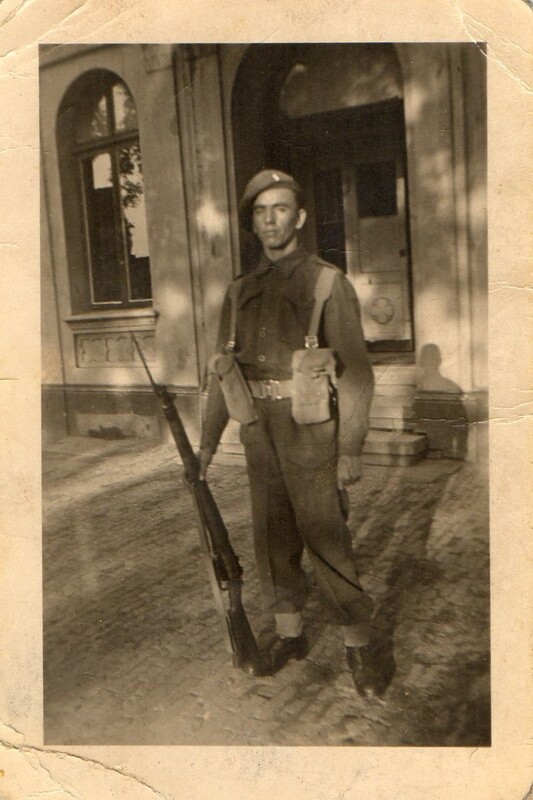 After training in Plymouth and then Scotland, Fred was stationed in Germany. One particular experience stayed with Fred all his life. Fred was ordered by his superiors to get a platoon ready to guard a recent bomb site. The platoon was ready, but Fred wasn’t to join them as he had been on another mission all night. The men never returned. There was an explosion at the bomb site which killed all of the men there. Like many others, Fred lost many comrades that night. Fred later returned home, released from the army on compassionate grounds to support his widowed mother, who had four other sons to care for. Back home he worked in a brick works, essential work to support the war effort. We remember Fred, and all those who didn’t return from the frontline, on 11 November.